Turkey with cranberry, roasted chestnuts and Christmas butter pudding… Yep, the festive season is upon us and it has never smelt so good! Get ready for not one, but four unique dining experiences this Christmas Eve and Christmas Day as Armani Hotel Dubai launches festive menus at four of its restaurants: Armani/Amal, Armani/Ristorante, Armani/Deli and Armani/Mediterraneo. What are we most excited about? 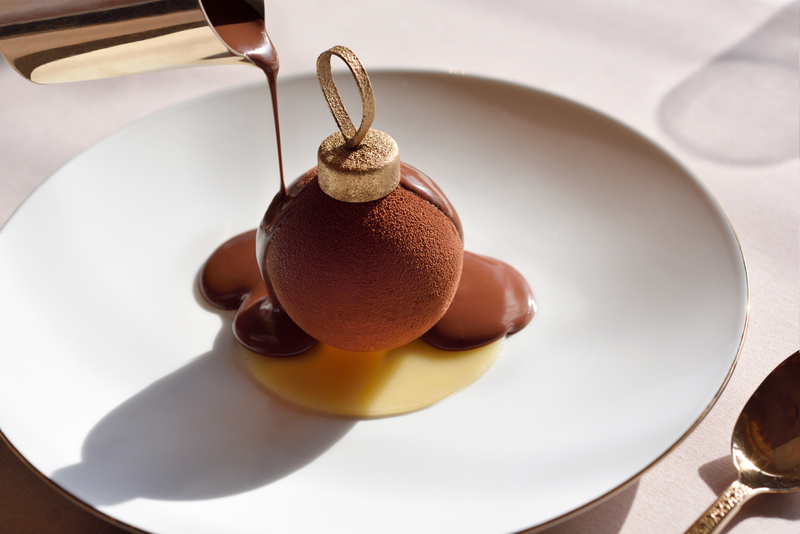 One word… desserts! All four venues will be serving an incredible array of desserts, ranging from pandoro with chocolate sauce and Christmas butter pudding to marzipan Stollen and more! If you’re looking for a Christmas Day brunch, Il Brunch Italiano at Armani/Deli will be bringing a festive taste of Italy to Downtown Dubai. You can expect to find an oyster station, plenty of turkey and an entire room dedicated to cheese, along with a special appearance by Santa Claus and a live musician playing all your favourite festive tunes. 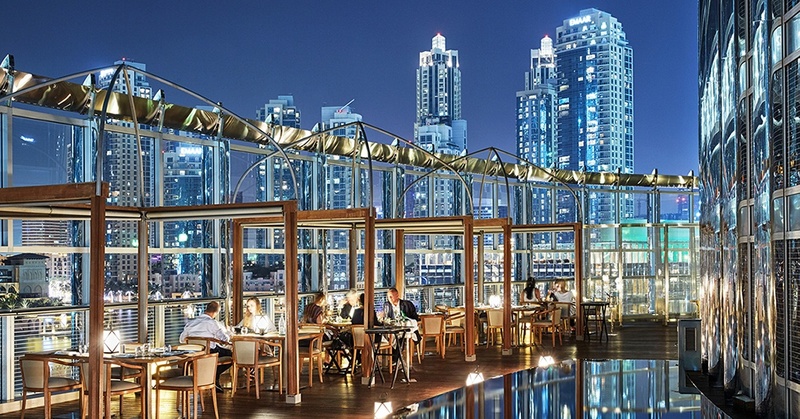 What better way to ring in the new year than partying it up in the world’s tallest building?! 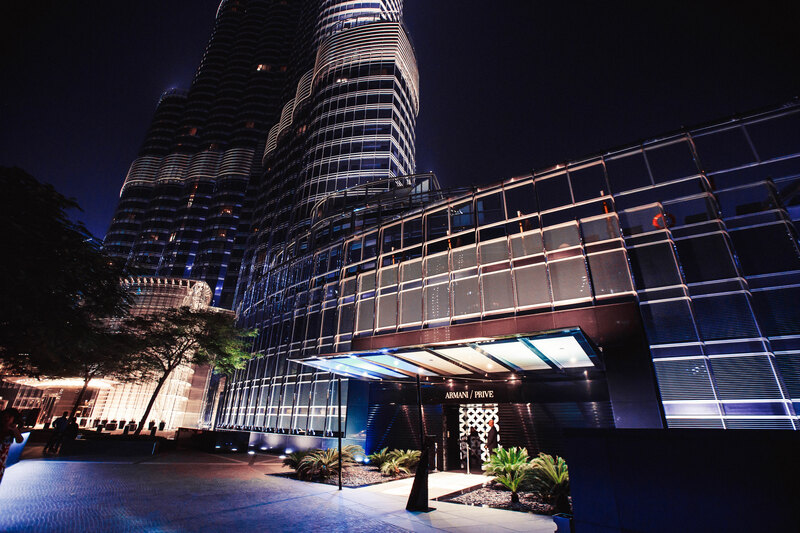 From special menus at one of five award-winning Armani restaurants to dancing until the early hours of the morning at Armani/Privé, there’s so much going on at Armani Hotel Dubai this New Year’s Eve. Armani/Ristorante… will be serving up seven courses of contemporary Italian cuisine, including lobster risotto, slow cooked turbot with white truffles and wagyu tenderloin. Armani/Amal… is bringing a unique taste of India to the table, with Goan-styled lobster, grilled halibut with curry leaves and lamb rogan josh. Armani/Deli… will impress you with Italian favourites such as wagyu beef carpaccio with forest mushrooms, langoustine risotto with burrata and slow cooked veal with foie gras. Armani/Hashi… is all about Japanese culinary history, with six impressive courses of botan shrimp, sea urchin and royal Beluga caviar. Armani/Mediterraneo… will be offering a buffet featuring foie gras, lobster, turkey, chestnuts, truffles, oysters, whole Scottish salmon and caviar. For more information about Armani Hotel Dubai’s festive collection, call +971 4 888 3666 or send an email to restaurant.reservations@armanihotels.com. previousThe Nisnass Online Shopping Sale Ends Today — Don't Miss it! nextFarfetch is Having an Online Sale Right Now — With So Many Deals!